The first million-selling album in jazz history. 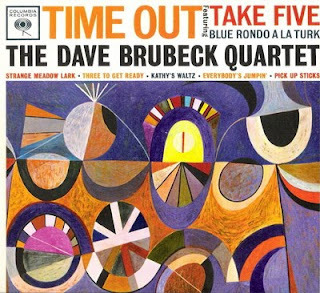 1959 was a banner year for jazz, but no album captured the public's attention like Dave Brubeck's Time Out. 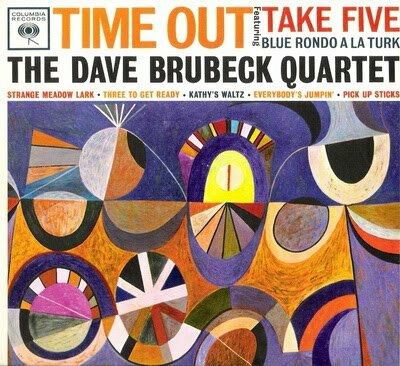 "Take Five," the surprise radio hit from Time Out, would enter the record books as the first million-selling jazz instrumental single on the Billboard Hot 100, and "Blue Rondo à la Turk" would become an instant classic. This edition marks the 50th anniversary with an unprecedented presentation of music, images, insight and history, including the chance to hear the classic Brubeck Quartet in top form live at Newport, plus a companion DVD offering a fresh take on the making of this pioneering recording. The experimental meters of Brubeck's music set Time Out apart from the pack. But the appeal of this album - in 1959 and today - is less in the rules it broke, and more in the sheer sweep and effervescence and pure unadulterated fun of the music. For all his seriousness and ardor, Dave Brubeck had somehow recaptured a sense of childlike wonder in this project. And for that reason, the decades may pass and tastes may change, but it will always be the right time for Time Out. В 2009 году 50 летие со дня выхода пластинки "Time Out". Она стала первой в истории джаза, проданной миллионным тиражом. Это праздничное двух дисковое переиздание. На первом диске оригинальный альбом, а на втором те же треки, но сыгранные и записанные в живую. Настоятельно рекомендую, незаменимый катализатор концентрации и умственной активности.